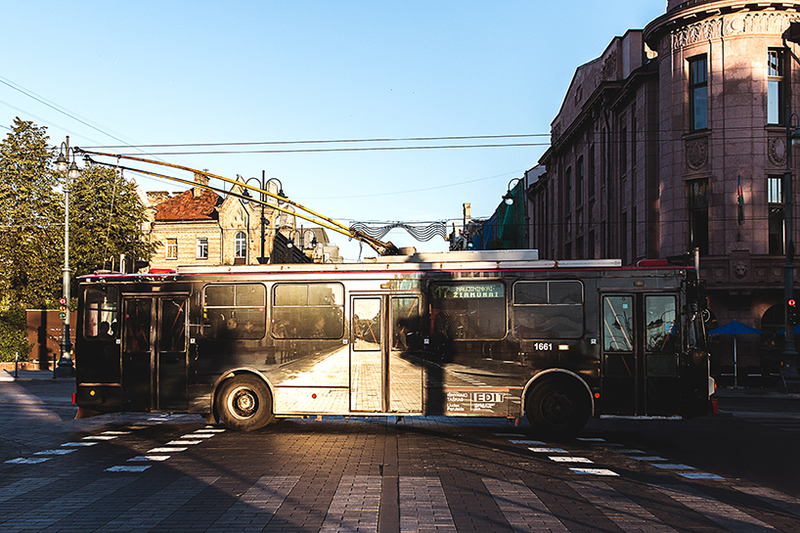 The streets of Vilnius, Lithuania are full of ghost buses that blend right into their surroundings while passing through intersections as if only existing in translucent ethereal form. 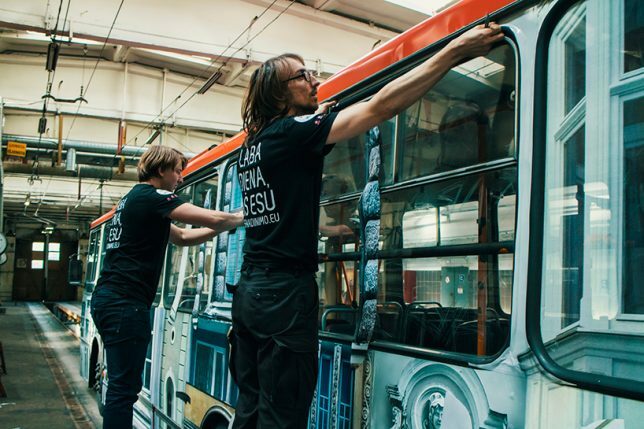 Matching up to the scenery beyond when glimpsed at just the right moment, the buses are momentarily camouflaged thanks to photorealistic printed imagery mounted to their exteriors for this summer’s Vilnius Street Art Festival (media by Studio Vieta). One bus appears to be covered in imagery depicting traditional local architecture, while others capture specific street scenes around the city. Parulskis added a wolf running across an intersection to one of the buses, winking at the unofficial mascot of the city.